LBL Strategies has a long history of facilitating strategic planning projects. The overwhelming majority of executions included LBL coordinated “team input” by client identified leadership, staff and stakeholders into an intensive environmental assessment. The reason for doing so is clear…in order to plan for future success those charged with the task must have a “shared” understanding to what is currently happening in the operating environment and the present state of organization capacity and capabilities to achieve success within it. By capturing team input online LBL Strategies provides client organizations with a solution that ratchets down required face to face meetings (logistical headaches and costs incurred) to the essential. Team input captured online is consolidated and shared with participants in advance of meetings so they can review it and come prepared to engage in facilitated discussions. This choreography between online information collection and face to face interaction more efficiently moves teams from the “what I have to say” stage (thoughtful individual expression) to the “what we believe to be true” stage (agreed to shared understanding) of environmental assessment work. Online team input levels the playing field by allowing individuals quiet space to collect their thoughts free of distraction coupled with preserving anonymity of expression to allow the information provided to be reviewed and considered on its merits alone. Anonymity carries forward and through the online team input into SWOT identification and prioritization process allowing your team to weigh in unfettered by organization politics. Once the environmental scan input has been entered by the planning team we consolidate the information and report it out as a comprehensive environmental assessment summary. This information is distributed to planning team members to carefully review prior to the first face-to-face planning session. The primary objective of the environmental assessment report is to level the information playing field so all team members can gain a shared understanding of the strategic environment. LBL Strategies’ skilled strategic management facilitators will lead an in-depth “deep dive” into your environmental scan input (both external and internal). The goal of our facilitated work sessions is to drive a shared understanding and perspective around the key environmental factors. 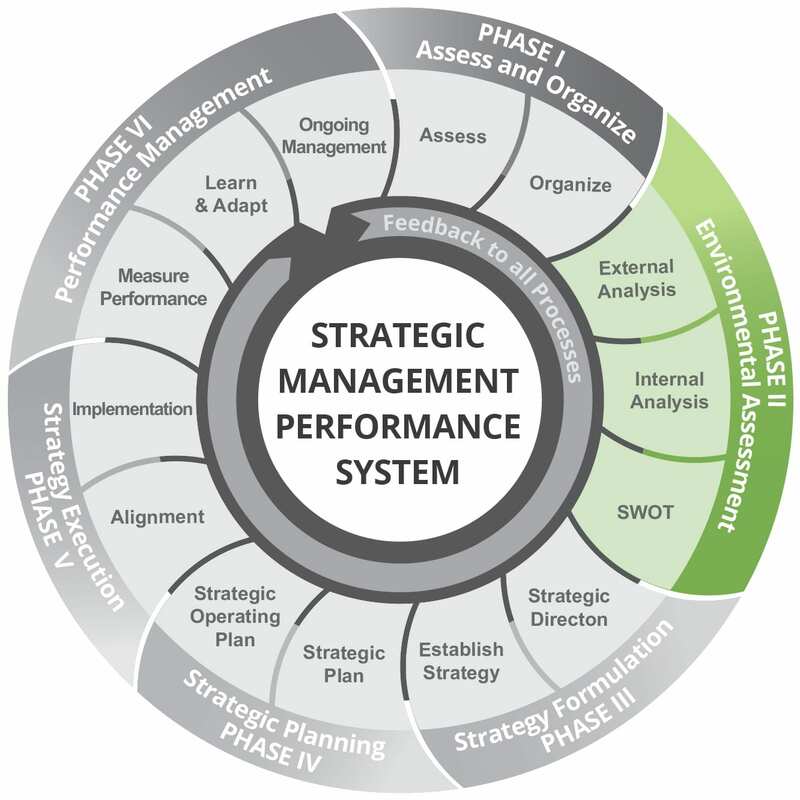 Once alignment is achieved around a shared perspective of primary environmental factors influencing your organization, your team is much better positioned to begin the strategy formation process.